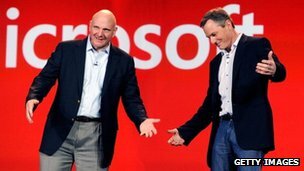 Latest News – With Steve Ballmer leaving microsoft as head honcho, we are beginning to see signs that microsoft is aligning itself with the other big players in the market. 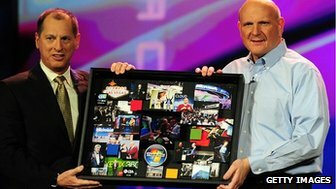 After pulling out of CES 2012 show they have announced that they will return in 2013, obvioulsy with the Xbox one and windows 8 improvements, along with quite a few windows 8 tablets, they will use this publicity to showcase a new look microsoft. The organiser of the US’s biggest tech show has revealed to the BBC that Microsoft is returning to the event. Microsoft announced it was pulling out of CES in 2012, saying that its “product news milestones” did not align with the January tradeshow. Although it is not scheduled to host a keynote speech at 2014’s event, the firm has booked meeting rooms again. One analyst said the news reinforced the Las Vegas show’s claim to be the year’s most important tech event. Others had previously suggested Microsoft’s departure might mark “the beginning of the end” of the show. A spokesman for Microsoft said he was unable to comment. Gary Shapiro, president of the Consumer Electronics Association – the lobby group which hosts CES, disclosed the news during a visit to London. “Microsoft is officially back in the International CES,” he told the BBC. “They are taking out significant space in meeting rooms – it’s actually a larger presence than I believe they have ever had. “Microsoft will have to make the decision who the rooms are open to or not, but I imagine they’re very open to the press. The company was not totally absent at 2013’s event. Chief executive Steve Ballmer made a brief surprise appearance during chipmaker Qualcomm’s keynote event, and Microsoft’s chief technology strategy officer spent a few minutes on stage at a Samsung press conference. But one tech consultant who regularly attends the show said the US company had made a “tactical blunder” by not hosting its own event or having space to show off its wares. “There was an opportunity to really assert the Windows 8 story and they completely missed it,” said Ben Wood, from CCS Insight. “So, you had a show floor full of convertibles, tablets and all-in-one Windows 8 PCs but no narrative to go with them. You can align that to the fact that Google’s Android was omnipresent and Windows Phone didn’t really get a look-in at all. Microsoft is in the process of taking over Nokia’s handset unit; recently launched the second generation of its Surface tablet, despite missing sales targets with the first one; and is about to put its Xbox One games console on sale. More than 152,000 people attended 2013’s CES, according to an independent audit, with 3,282 exhibitors taking part across a range of venues totalling 1.92 million sq ft (178,370 sq m). The event is not open to the public, but presents an opportunity for firms to host public and private meetings with the media, analysts, retail chains and other industry professionals. Although there has been a trend in recent years for tech-makers to hold special events to launch products, rather than competing for attention at a tradeshow, many of the industry’s biggest names continue to hold gadgets and other announcements back for CES. Intel and Audi are both holding what is termed “tech titans keynote” events at the forthcoming show, which runs from 7 to 10 January. Sony, Samsung, LG, Panasonic, Huawei and Toyota are among others hosting both press conferences and stands. Google, Yahoo and Dropbox prefer to just book private meeting rooms. Apple does not attend in any formal capacity. Microsoft is currently going through a period of upheaval. Last week Mr Ballmer gave a tearful farewell to staff having previously announced his resignation. Reuters is now reporting that some of the firm’s biggest investors are pressing for Bill Gates, its chairman and co-founder, to also step down. 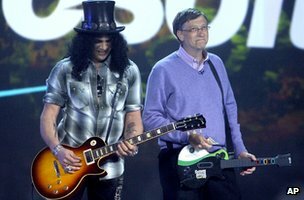 Mr Shapiro did not speculate whether changes in management might see Microsoft further bolster its presence in later years. However, Mr Wood had little doubt this would happen. “I can see a renaissance, particularly given Microsoft’s move into hardware,” he said. “It’s going to be in the heartland of consumer electronics – you’re looking at tablets, Xbox and mobile phones all working together for not just a mobile story but a connected homes story, and that’s the epicentre of CES.